it’s worse sphinx’s tutelage, but maybe with pull from tomorrow and some other mill cards it could work. Not to a deck that runs Glimpse the Unthinkable, Mind Funeral, Archive Trap, etc . Whenever a new mill card is printed, I started chanting “Mill! Mill! Mill!” (think Bill Nye intro of old). The translation should be: At the beginning of each end step enchanted player puts the top X card of his or her library into his or her graveyard, where X is the total number of cards put into his or her graveyard from anywhere this turn. you sure about that last part? it says above that X is cards drawn. Yeah, you don’t need to know spanish to know what this says. Prior to ‘X’, the text references ‘cemiterio’ for graveyard (Cemetery). After the ‘X’ it references ‘cemiterio’ again. This means the last clause has to relate to the graveyard. The translation above does not, which means the translation has to be incorrect. Edit – In many languages, there are words that are easily picked out as close to english. You just have to know the english word it is related to. This is correct, and now I’m hoping for a Traumatize reprint. a blue red wheel mill deck might be a thing now considering the locust god? This with consuming aberration…oh my god. Milling kill is real. My Nin EDH deck is about to explode! This plus to Locus God is like Christmas! Translation doesn’t say this, but its also sub-type Curse!!! hmmm…. not on my screen…. No! Bad Nekusar! Stay away! Don’t make me bring out the Spirit of the Labyrinth again! And Mill is back in standard. Please don’t get my hopes up like that. Because mill is complete and utter garbage. It’s like “fetch”. Stop trying to make it happen. It’s never going to happen. Mill is only playable when its cards are completely pushed beyond reason, see: Glimpse the Unthinkable. You can mill 52 cards on turn 7 in a mono-blue mill deck pretty reliably. 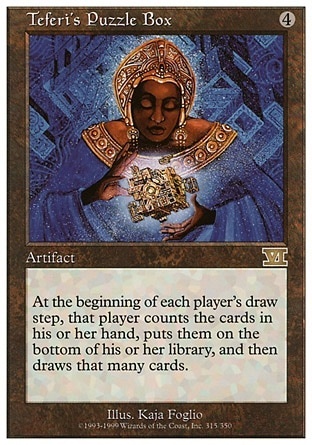 So… I’m guessing the Scarab God is a mill god? Please no… anything but mill. well, so far both of them have had interactive effects with triggers, so it might be when you mill X you do something. I’ve seen some people say they want it to be “whenever a creature enters the battlefield put a -1/-1 counter on target creature” so all 3 gods work together in some way since The Scorpion God draws whenever a creature with a -1/-1 counter dies and The Locust God creates 1/1 tokens when you draw so it would create an infinite loop drawing you infinite cards. The U/R god already has cycling synergy. It’s card draw. Yes please! This is probably a 1 or 2 of in my existing modern mill deck. 3(original)+3(first one)+6(second one)+12(third one)+24(fourth one)=48 cards. Sounds good to me. Not quite sure that’s how that works, otherwise this will get an instaban for being way too easy to abuse if it can’t immediately be answered. We’ll just have to wait for official ruling. I don’t think it would result in an instaban if that is how it works. Unless the U/B god IS mill and IS able to pretty much verify a proper mill deck, I don’t think the other mill cards are good enough to make a worthy deck. There’s a lot of graveyard exile being spoiled, though, so they may be going in on mill. Plus, getting every copy of the card is very difficult in a 60 card deck in standard, and it’s not OP if 1 or 2 hit the field. The only real mill card that’s great out there right now is Startled Awake, but that’s going away in a few months. And although curving this into Startled awake to mill 26 cards turn 4 sounds like fun, I don’t know if it will be a viable strategy. This is all pertaining to standard, though. Modern mill decks would have a super field day, but in modern there are just so many ways to stop mill. I agree to waiting for the official ruling, but just the possibility is entertaining. Just don’t forget that it says “each end step” not just the enchanted player’s end step. Mirrorpool + Fraying Sanity + Startled Awake OR Mirrorpool, double Fraying Sanity, and Compelling Argument are both pretty strong finishers if Fraying Sanity stacks they we want it to. The first one will always kill and there’s actually mana acceleration in blue right now with Abstruse Interference and Vizier of the Tumbling Sands so I could see this being pretty good if you can consistently bounce and counter your opponents threats while still finding the pieces to win. I’m 100% building this. I guess the original translation was wrong, oh well. This set has so many awesome cards for foiling! you mean the scarab one, right?